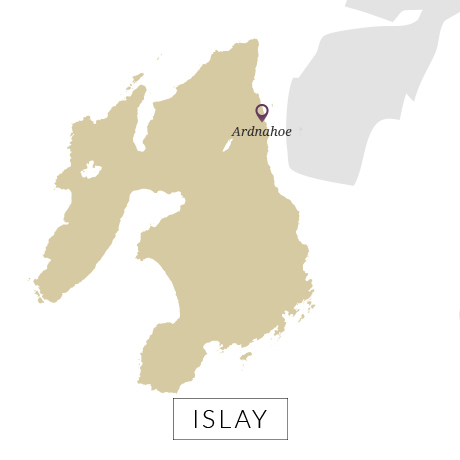 As Islay’s newest distillery Ardnahoe needed to carve itself a niche to differentiate itself from the beloved whisky styles produced at the island’s existing sites. That’s achieved in spades with the only worm tub condensers on Islay, and Scotland’s longest lyne arms at 24.5ft, not to mention the stunning views from the still house out across the Sound of Islay. Everything at Ardnahoe is set up to produce a heavily peated, richly fruity spirit with a creamy, slightly oily consistency. Barley is peated to 40ppm. The 2.5-tonne mash tun produces enough clear wort to fill half of one of Ardnahoe’s Oregon pine washbacks, meaning two mashes are required for one fermentation. The fermentation itself is long, lasting between 60 and 70 hours to allow the yeast to produce fuller fruit flavours. In the still house, the two copper pot stills are run slow, allowing for greater copper contact as the spirit travels through the lanky lyne arms and into 77 metres of copper coiling in the worm tub condensers. The spirit is currently being filled into first-fill ex-Bourbon casks, with some ‘experimental’ ex-oloroso and PX Sherry butts. 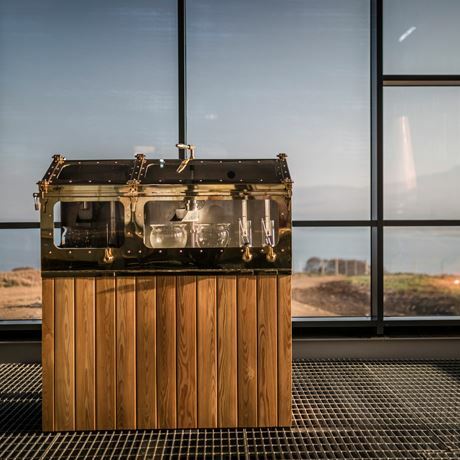 The distillery layout has been designed with the visitor in mind, with plant equipment placed in such a way as to establish a natural flow for distillery tours, which end in an elaborately decorated sensory room. Visitors can grab a dram at the bar and a bowl of stovies from the café before picking up a bottle to take home from the on-site shop. Ever since Stewart Laing worked at Bruichladdich as a teenager he felt an affinity with Islay and harboured a dream to one day build a family-owned and run distillery on the island. 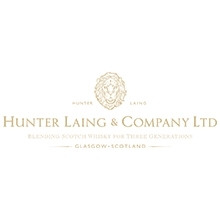 In 2013 Laing established independent bottling company Hunter Laing & Co., and recruited his two sons, Andrew and Scott, to the board. 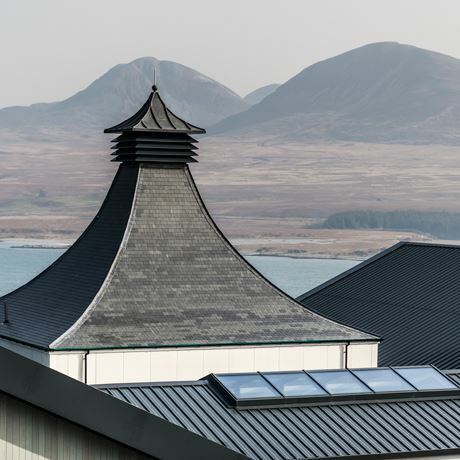 Noticing rapidly growing demand for its Islay whiskies, and with a desire to secure a future for his two sons, in January 2016 Laing acquired a site on the northeast coast of Islay and lodged plans to build an £8 million malt whisky distillery. Planning permission was granted for Ardnahoe distillery in September 2016, and construction work began shortly after. 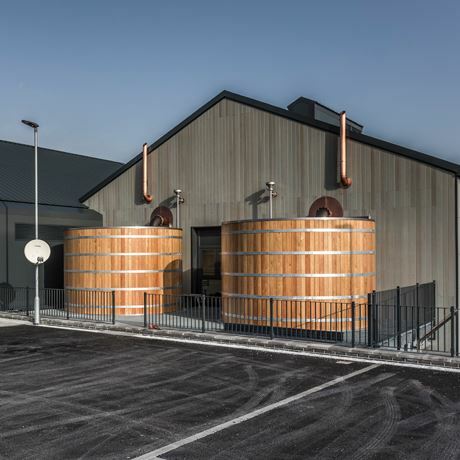 The distillery was completed in late 2018, with the first spirit run through the stills on 14 October, and the first cask filled on 9 November. It officially opened to visitors in April 2019.